office mum: Endure or Enjoy? 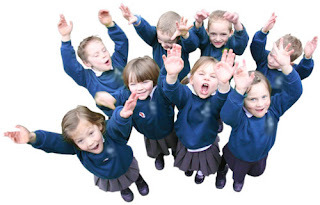 So it's the end of the Easter holidays and parents all over Ireland are breathing a sigh of relief - some because they are at home with their children all year round and it's a little more difficult to keep everyone entertained during school holidays, and some because they're at work and find it a challenge to arrange childcare when school doors are closed. I do think (and maybe I'm wrong) that while the above "sigh of relief" is the stock answer that you hear from friends and see online, secretly many of us love school holidays, almost as much as we did ourselves as children. At least for the first few hours after they race out the school gates on the last day. So for those of us who got to spend this last week with our children - did we endure or enjoy? Like most things in life, I'm guessing a bit of both, hopefully a little more of the latter. Not having to get up for school would be a huge bonus, so we would avoid morning outings and make the most of chilling out. My kids play pretty well in the morning, and get fed up in the afternoon, so outings would be in the second part of the day. Oh yeah, I had this sussed this time for sure. Jam-packing the week with too many activities would not be good - avoid, avoid, avoid. In our house, the biggest stress and shoutiest moments come when we "have to be somewhere", so we made very loose plans only. Not a week for being on the clock. Notwithstanding point 2 above, adult company sprinkled throughout the week would be needed by me, so some playdates were set-up, cake and coffee duly purchased. Fresh air is king. Any bit of sun, no matter how cold, we would try to get some of that vitamin D that doesn't come in a dropper with a giraffe on the bottle. Cooking and laundry should not take over and destroy the week of intended quality time: three crying kids while trying to prepare dinner at the last minute would not be good for any of us, so some meal-planning and morning-time cooking (see point 1) would be in order. Did it work? Not always, but for the most part yes. 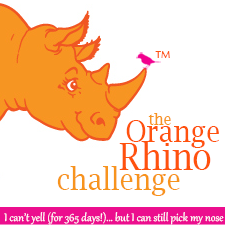 Based on the Orange Rhino challenge, I had plenty of level three and four voice-raising, but no level 5, 6 or 7 total-meltdown-absolutely-losing-the-plot type shouting. There were moments of pure endurance, such as taking the three of them out cycling in the bitter cold, drying tears of my three year-old who insists on taking out her bike but cries every time she has to cycle up any kind of incline (such as the one right outside our house, where we were cycling...) and taking snails out of my inquisitive baby's hands and mud out of his mouth. But I felt like it was time well spent - they enjoyed it, I pretty much endured it, and I have some good photos that will lead me to believe in the future that we all had a great time that day, me included. 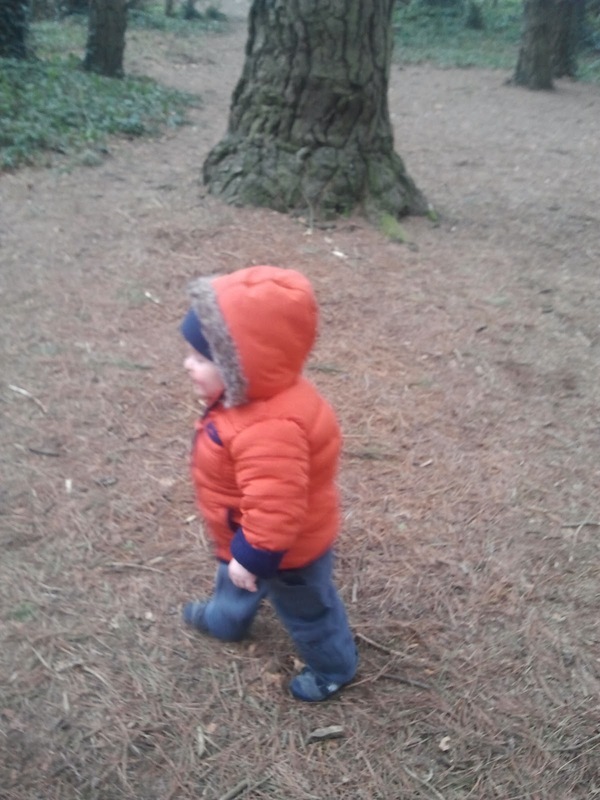 There were moments of pure enjoyment, like watching my two girls playing chasing with my 15 month old while he laughed his head off and ran as fast as his little chubby legs would carry him. And the impromptu nature table that we decided to make (we needed a home for the twigs and leaves that they insisted on picking up at the playground). And a post-breakfast disco in the kitchen every morning, with the four of us dancing to Tupac's California (of all things) and anything else that came onto the radio. 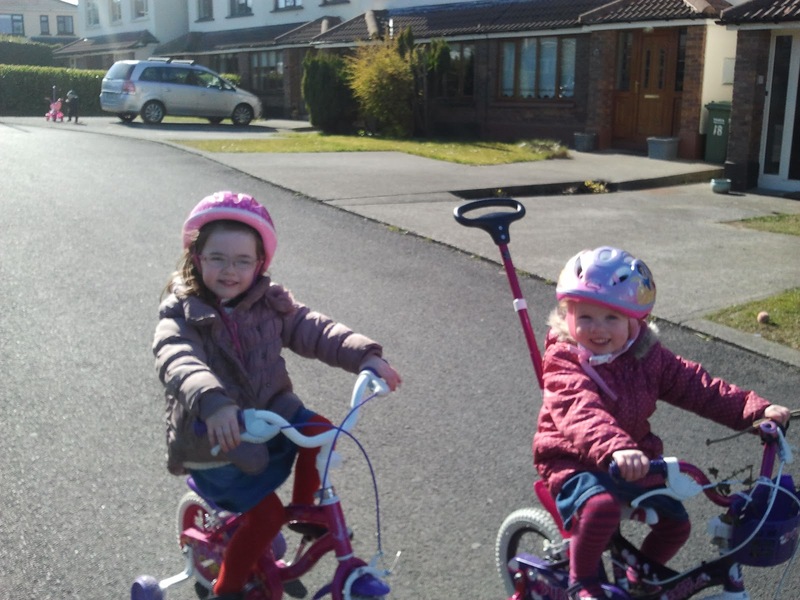 And certainly the coffee and cake with the other mammies on our two playdates were a highlight for me! My week is over, and I'm not breathing any sigh of relief about us going back to school and work on Monday. This is a good feeling. My kids aren't breathing a sigh of relief either - they told me they've loved their week off with me and want me to stay home and keep singing American Pie to them (I promise that no-one outside our family will ever be subjected to this murdering of a song). I think I passed the test - enjoyment over endurance all round.